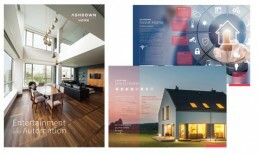 We undertook the brand image development for Ashdown Home. Ashdown are a home cinema, audio, smart home and automation design and installation company. They specialise in high-end bespoke home cinema and audio projects.